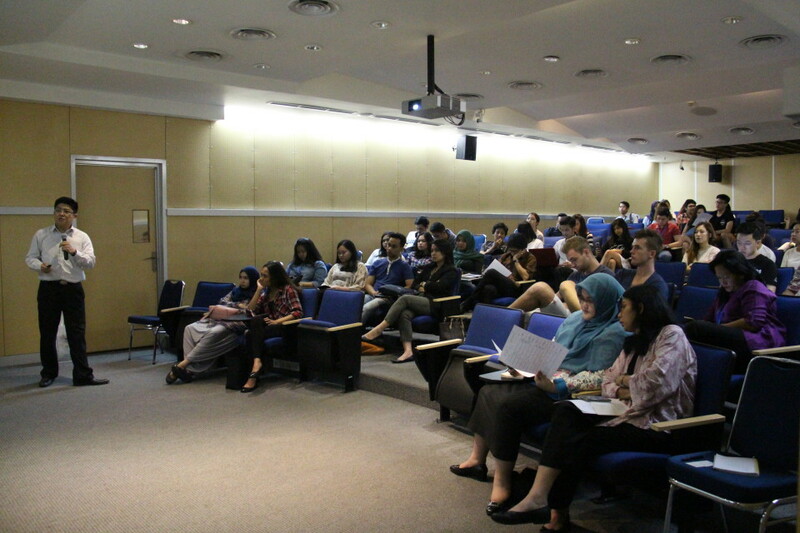 BINUS INTERNATIONAL Business and Marketing Programme was recently set to hold its third serial lecturing session. The session was themed “Let’s Do Branding” by its committee, marking a main topic for the discussion that took a knowledge-sharing format. 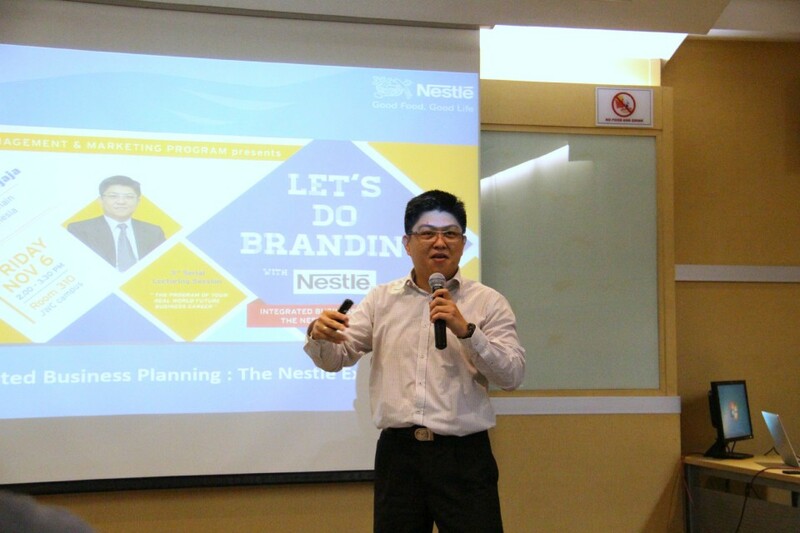 For tis third time, the session had invited PT Nestlé Indonesia’s Calvin Widjaja as its main speaker. 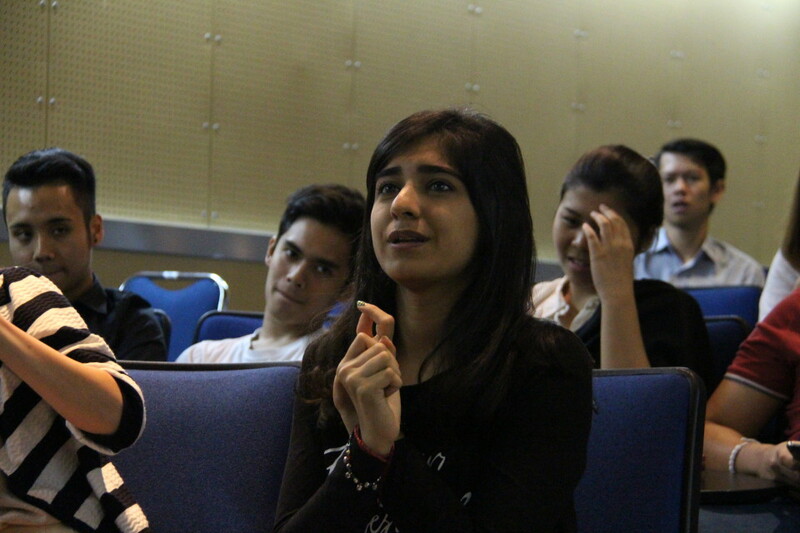 Widjaja himself was a BINUS UNIVERSITY alumni from the Informatics Programme’s 1995 batch. Recruited by PT Nestle Indonesia on 2006, he was in-charge as Head of Demand and Supply Planning in China on 2010. At present, he takes on the Supply Chain Director role. 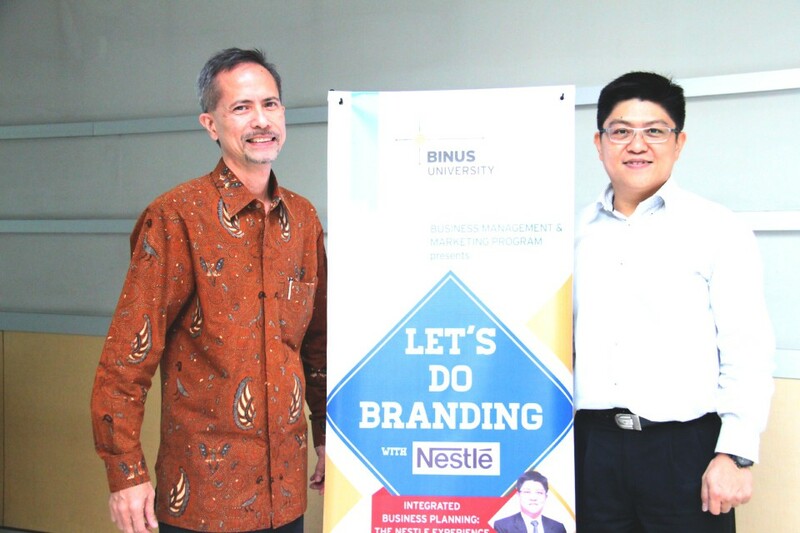 Held Friday, November 6, 2015 in room 310, JWC campus, the session comprised a discussion on an integrated business planning as composed by PT Nestlé Indonesia. PT Nestlé Indonesia is a multi-brand company which is regarded as one of Indonesia’ 3 major food and beverage companies. It bears a mission of “Nurturing a Healthier Generation”. One of its products, namely Nescafé, succesfully made its way to the Top 50 Brands in the World. Widjaja opened his discussion session with the well-known phrase, “A goal without a plan is just a wish.” The saying seemed to assert to each participant that a good planning is essential in business. To be able to achieve our goals and targets, we need planning. He considered 3 fundamental pillars for our plan to fit the targets pursued. The 3 pillars are integrated commercial plan, demand plan, and dynamic forecast. Based on his experience around the industry, these factors are proven to be effective in composing a plan for pursuing targets. Additionally, Widjaja asserted the importance of business planning on a monthly basis in running a business or a company. A monthly business planning can help anticipate true situations or changes that occur in the field. He also stated that there are 5 keys to success in strengthening a composed business plan as well as 4 considerable factors to turn plans into successes. In addition to that, the making of a consensus demand plan comprises 3 components, namely the impactor, uplift, and baseline. At the final section of his presentation, Widjaja explains how to compose a plan. One way which he considered effective for business planning is knowing the past or the historical situations in order to be able to preview the future and simulate the implementation of your trade plan.